School zone speed limit, active only when children are present. 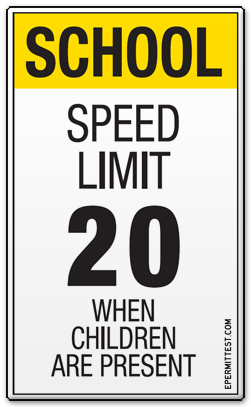 Slow down to posted speed limit if you see children near the roadway. In some states, the posted speed limit applies only on school days when children are present (usual school hours are 7 a.m. to 4 p.m., but hours may vary).